The Salt Mine in Bochnia is the older sister of Wieliczka. Few people know that it is also on the UNESCO list. 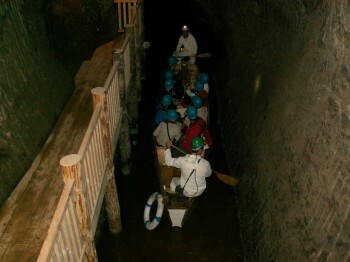 It is worth knowing that the Salt Mine in Bochnia is the only mine in Poland that offers visitors an underground crossing by boat. Bochnia is a 45-minute drive away from Krakow. For many years, the mine in Bochnia was a powerhouse, and like Wieliczka brought huge profits to the kingdom. Bochnia is associated with the legend of the ring of St. Kinga, which you can find out about during the tour. It was not until the 17th century, the period of wars and economic collapse, that the development of the mine stopped. 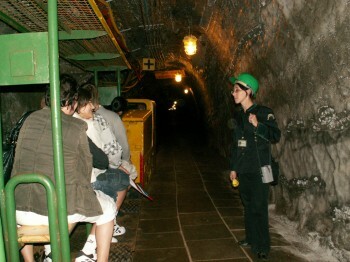 The Bochnia Salt Mine joined the permanent list of tourist destinations in the early 1990s. 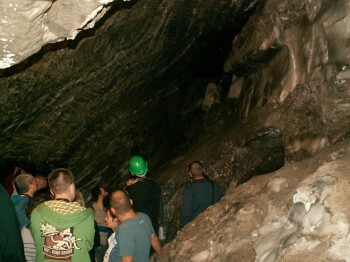 We offer trips to the Salt Mine in Bochnia in the PRIVATE TOUR option. We created this option to satisfy the most demanding of tourists. In addition to choosing the start and end times of the trip, a private comfort-class car with a private driver, the undoubted advantage of this version is the possibility of a private guided tour of the Bochnia Salt Mine. In this case, please make a reservation at least one day in advance. Only then we can guarantee full flexibility due to the ever rising interest in the mine in Bochnia. A short break and the possibility of using the toilet appears consecutively 40 and 90 minutes from the beginning of the tour. 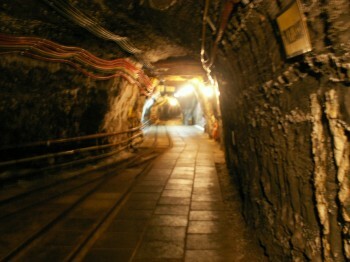 The mine has an unchanging temperature throughout the year around 14-16 degrees Celsius.